Is there any relationship between the two? Not really. However on April Fool's day I posed some questions on facebook, just for fun, that does link to Mom. Eg. True or False? I went into the wrong labor room to hold the hands of a pregnant mother in pain. Well the answer is True Hahaha. 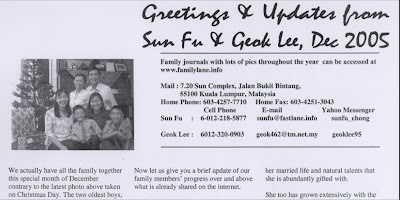 It was a well kept secret until Mom made it famous by winning a Story Telling Contest in Singapore about my foolish act and was publicized in the media . As per the cover, the book contains another 45 'powerful' stories for her to share intead of mine hahaha. 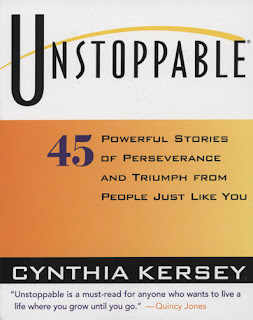 ﻿I felt it was the right book for her at the right time due to the front page endorsement by Quicy Jones who said "Unstoppable is a must-read for anyone who wants to live a life where you grow until you go." From a young woman whose father had given me her hand in marriage before her official 21st birthday, I have seen her grow and grow with the family. 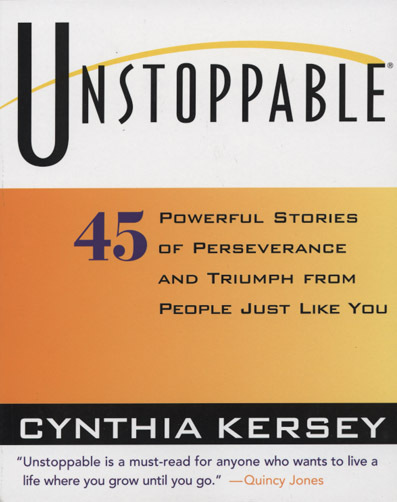 She is truly 'unstoppable' and perhaps it's having a dream that drives her as recorded in a journal of 2004. Talking about dreams, I recall in our early beginnings together, she talked about her dream to sing in the Mormon Taberncle Choir one day. Lo & behold, the dream became a reality in 2006 as you can view on this video clip with several family members and friends witnessing this memorable event! The Story of Our Unstoppable Mom will continue. To read to the very End of the Story, look for the next link to click which will be found at the bottom of each post like here.